Like the rippling waves of the sea, this beautiful wave textured pendant and earrings will be a gentle reminder of times spent on the shore. 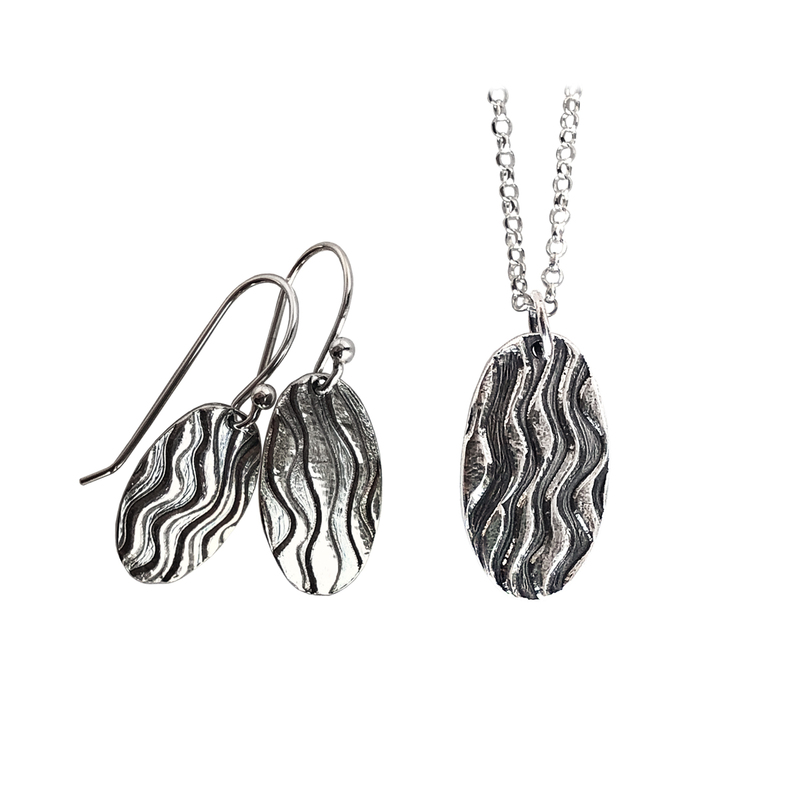 Pair these fine silver oval earrings with any outfit! 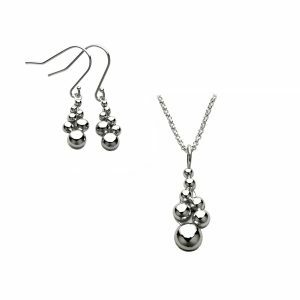 The earrings have a nice weight and swing to them, catching the light with your every move. Pendant is 7/16″ wide by 13/16″ long and comes with a sterling silver chain. Earrings are 3/8″ wide by 11/16″ long and are on sterling silver ear wires.